On 16 March 2016 George Osbourne presented his budget, the budget was followed by the publication of the finance bill on the 24 March. Here are the top key points affecting small business. For 2017/18 the personal allowance will increase to £11,500 (2016/17: £11,000). The basic rate band will increase to £33,500 (2016/17: £32,000), resulting in a higher rate threshold of £45,000 for 2016/17. We have been told that the higher rate threshold will increase to £50,000 by the end of this parliament. From April 2017 those under the age of 40 will be able to subscribe to a ‘Lifetime ISA’. Subscribers can pay in up to £4,000 a year until the age of 50 and receive a government bonus of 25%. Contributions to a Lifetime ISA will count towards the ISA contribution limit which will be set at £20,000 for 2017/18. Funds can be withdrawn without charge when the subscriber reaches 60 or purchases their first residential property worth £450,000 or less. The ISA will be ‘flexible’ and funds can be withdrawn at any time before the age of 60, subject to the subscriber losing their bonus (including any interest or growth thereon) and paying a 5% charge. More details should be released in Autumn 2016. Class 2 NICs will be abolished from April 2018. 4 NICs will be reformed so that the self-employed will continue to build entitlement to contributory benefits following the abolition of Class 2. We would expect an increase in the Class4 NIC rate, although this has not been announced yet. Two new allowances of £1,000 each were announced by the Chancellor, to be introduced from April 2017. The allowances are available for property and trading income and are aimed particularly at micro-entrepreneurs carrying out activities such as selling goods or letting their homes through online marketplaces. Individuals with trading or property income below £1,000 will no longer be required to declare or pay tax on that income. Whilst detailed information on these two new allowances is not available at the time of writing, we do know that they will work in a similar way to rent a room relief: if income from property or trading exceeds £1,000 the taxpayer will have a choice between deducting actual expenses from income or deducting the £1,000 allowance from income. The planned reduction in the rate of corporation tax to 19% on 1 April 2017 will go ahead as planned. 1 April 2020 the rate will drop to 17%. This will affect any client with an over-drawn director’s loan account. The rate of s455 tax will increase from 25% to 32.5% from April 2016. The new rate will apply to loans made or benefits conferred by close companies on or after 6 April 2016. One of the headlines from the 2016 Budget was the reduction of Capital Gains Tax rates from April 2016. The basic rate will reduce to 10% (from 18%) and the higher rate will reduce to 20% (from 28%). An 8% surcharge rate will apply to gains on residential property and carried interest, effectively keeping the rates exactly as they were. ATED related gains will also be chargeable at 28%. Trustees and personal representatives will benefit from the lower 20% rate. From April 2016, an additional 3% will be added to the main rates of SDLT when an additional residential property is purchased costing over £40,000. Those looking to acquire second homes, buy-to-lets and holiday homes will be affected. 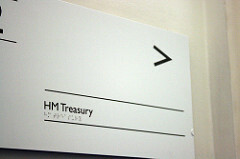 If you have any questions about anything in this years budget please don’t hesitate to get in touch. Christmas and New Year Opening Hours.